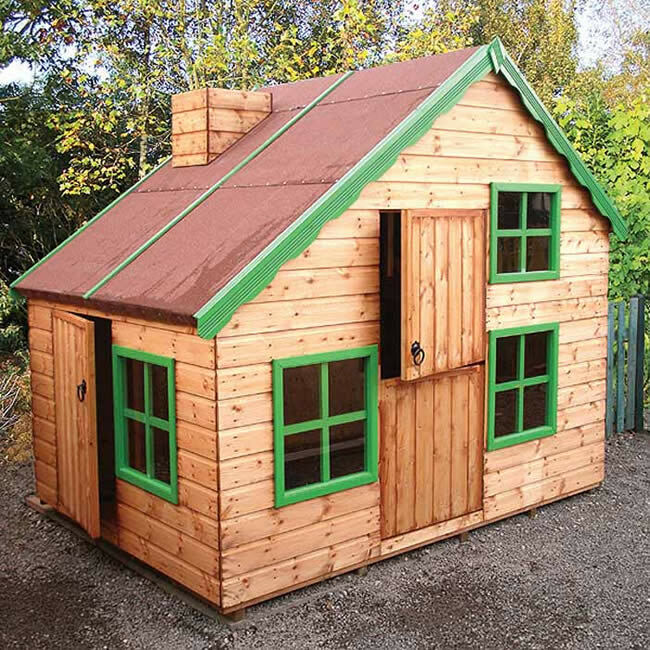 Taylor’s Garden Buildings don’t just cater for grown-ups, because they also offer a wide and high quality selection of Playhouses and Wendy Houses too. 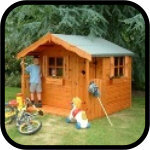 A garden playhouse is a safe, sturdy and reliable environment that kids will just love. 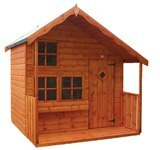 We have a very large range of wooden playhouses here at Taylor’s Garden Buildings, suitable for any of your children’s needs and any budget. 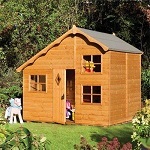 Your ideal playhouse will also be available at a great price. 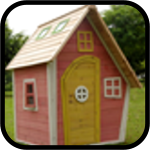 Children’s imaginations can transform their playhouses and wendy houses into just about anything, but we still offer an amazingly broad selection of styles and prices to suit your taste and your budget. 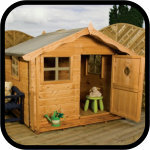 We try to offer you a varied selection so that we can ensure the satisfaction of more and more happy customers. 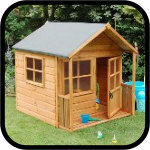 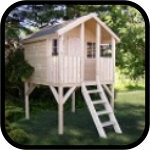 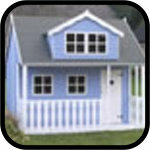 Taylor’s Garden Buildings are pleased to offer playhouses from a number of respected and experienced manufacturers. 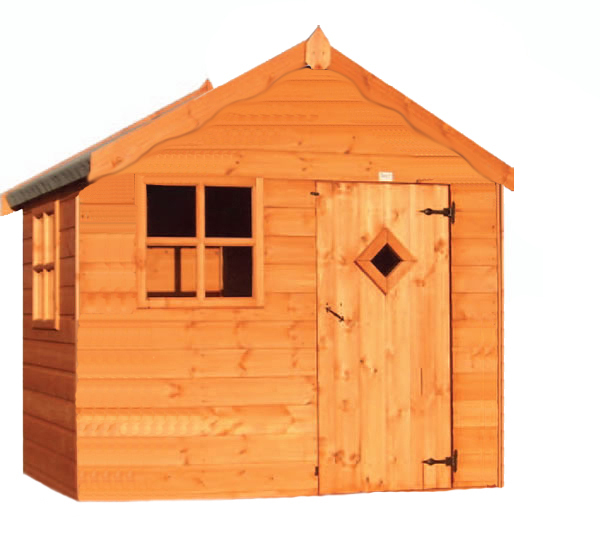 Choose from the value range offering excellent value for money, or maybe move up a gear to the Malvern range with its outstanding quality, reliability and longevity. 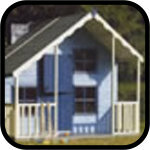 Whatever you choose your children will love it and enjoy many happy times playing a variety of games and experiencing all kinds of imaginary adventures. 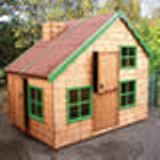 Installation is available if you require it and if you cannot find the perfect Wendy house for your home and your family, Taylor’s garden buildings can design the playhouse for you and then build it for you too. 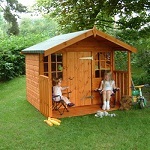 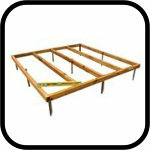 It’s all a part of the superior service you receive from Taylor’s Garden Service. 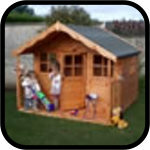 You’ll enjoy our prices and our unbeatable customer service; your children will enjoy all of the games and play times that they will experience within their playhouses.